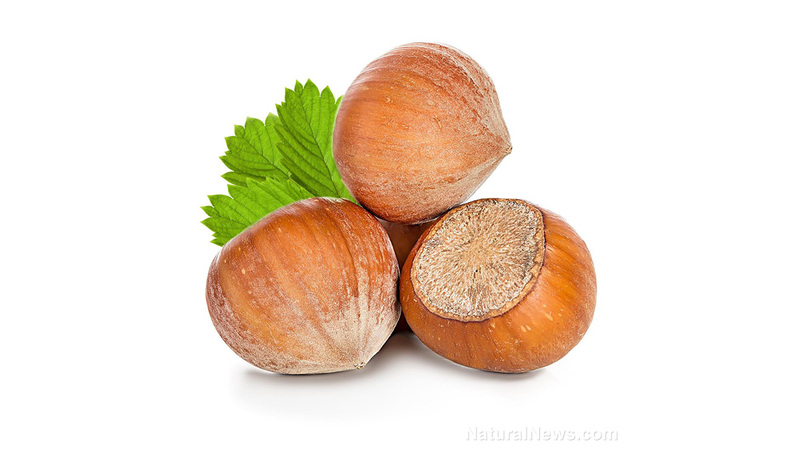 (Natural News) Hazelnut husks showed efficacy as mulching materials in nurseries and gardening applications of ornamental plants, according to a study published in the Journal of International Scientific Publications. The study, carried out by a researcher at the Düzce University in Turkey, took advantage of the large amounts of hazelnut husks produced in the Duzce region in the northwestern part of Turkey during harvest time and focused on the “waste” material’s potential as a mulching agent. Source: Hazelnut husks as mulching material: A review of the properties (Science.news). The researcher used a growth chamber experiment to assess water loss and weed germination in mineral soil surfaces. The weeds used in the experiment were wild privet, English ryegrass, and European grass. The scientist explained that privet was a widely planted evergreen shrub in Turkey, while both English ryegrass and European grass were cool-season perennials native to Europe. The scientist then used a set of 12 pots to sow and plant hazelnut husk mulch at thickness levels of three centimeters, 5 cm, and 8 cm. Another set of 12 pots did not receive the mulching material. The experts weighted and irrigated the pots until the soil attained saturation. The research team added 1.5 to two liters of water to the pots, and recorded the plant’s water consumption for about nine months. The pots did not receive any other source of water during this monitoring period. The findings showed that mineral soil surface without the hazelnut husk mulch lost 18 percent more water than pots with 5 cm mulch. Data also revealed that mineral soil surface without the hazelnut husk mulch lost 23 percent more water than pots with 8 cm mulch. In addition, the researcher observed that pots with no mulch lost nearly four times more water during the hottest months of July and August than pots with 8 cm mulch. “Our results suggest that covering mineral soil surface may prevent water lost during hot summer. However, thickness of the mulching materials may accelerate the prevention effects of the treatment,” the expert said. The results also showed that using hazelnut husk as mulching material resulted in significant declines in weed germination. According to the findings, the germination rates of the seeds were 67 percent lower in the 8 cm mulch compared with no-mulching pots. Likewise, the findings revealed that the seed germination rates in treated pots were 53 percent and 38 percent lower in both the 5 cm and 3 cm mulching, respectively, compared with non-treated samples. Furthermore, the study found that increasing the mulch thickness may lead to greater reductions in seed germination. The researcher observed that using 3 cm mulching cover on the pots helped lower ryegrass germination by 40 percent. Furthermore, increasing the cover thickness to 5 cm and 8 cm further reduced the weed’s germination rates by 81 percent and 95 percent, respectively. “The thickness of the mulching applications may also contribute to the magnitude of the effects. Our experiment showed that 5 cm application can provide most of the mulching benefits. Weed control can also be achieved by using this material for mulching applications. These means that more environmentally friendly way of weed control is possible by using these mulching materials instead of herbicides. And finally, better growth medium due to mulching can promote seedling growth,” the researcher noted. “As a result of this study it can be concluded that substantial amount of hazelnut is produced in the black sea region of Turkey and the husk of hazelnut can be utilized as organic mulching materials. Our results indicate that water use efficiency of nurseries and other gardening applications can be increased by using hazelnut husk as mulching materials,” the researcher concluded. Log on to Science.news and be on the look out with the latest information in agricultural advances.